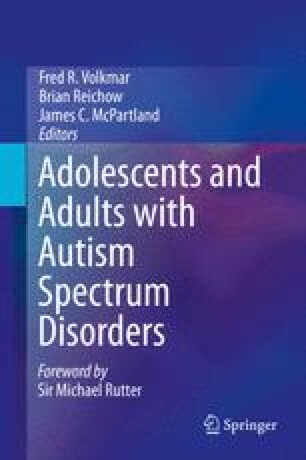 The work described in this chapter shows that it is possible to study autism among the adult population using similar methods to those used to study other mental disorders. It is vital that others undertake similar work elsewhere. There is no previous literature with which to compare our findings. For many the most surprising and concerning finding is that there are so many adults with autism in the community without any recognition or diagnosis, even in a country like England with health care that is free when needed for everyone. Howard Meltzer (deceased), Jane Smith, study clinicians. Funders: Department of Health, London via the NHS Information Centre, Leeds, UK.